Eleni Plessa is co-founder and partner at Resolve™. She is an Attorney – at – Law, member of the Athens Bar Association [www.dsa.gr] since 2003, a CIArb Accredited Mediator­ [www.ciarb.org] since 2010, one of the first to be included in the Hellenic Ministry of Justice Public List [www.ministryofjustice.gr]. She is also a Trainer in Mediation for Mediators and Lawyers. She holds an LLB by the University of Athens Law School, an MA in European Politics, Business and Law by the University of Surrey, UK and has also completed the Hellenic Management Association’s [www.eede.gr] two-year post-graduate executive MBA program. 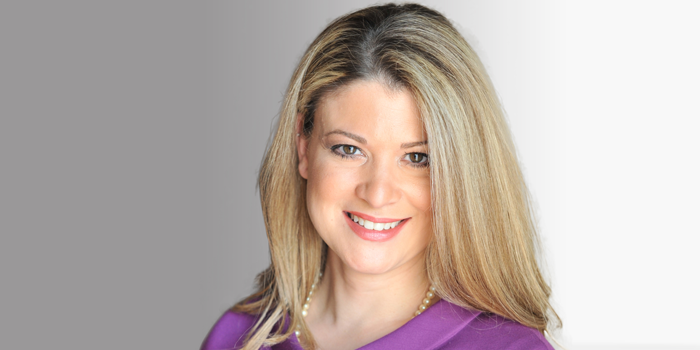 Alongside her activities as a Mediator and a Mediators’ Trainer, she is also an actively practicing lawyer since 2003 and in November 2010 launched her own law firm (Papanicolaou, Tsimpourakis, Plessa & Associates). She also serves as an external legal counsel in numerous commercial firms. She specializes in Commercial (Corporate Law, Contract Law, Industrial Property) and Civil Law (Family, Inheritance). Furthermore, she robustly supports entrepreneurship and serves as the legal advisor of iforU, a non-profit organization for the empowerment and support of young women entrepreneurs through mentoring & networking. Since October 2009, she is actively and persistently involved with Mediation both in relation to the national and the international scene. She has taken part in key global conferences on Mediation: CMC Conference, ICC Mediation Competition (as a Judge in 2012 and 2014), etc and has participated in mediations in the United Kingdom. In Greece, since June 2011, she has repeatedly and selflessly co-presented the three-hour ‘Introductory Seminars on Mediation’, along with Spyros Antonelos, in the Athens Bar Association, as well as, many other Bar Associations nationwide. What’s more, she has organized and presented, together with Spyros Antonelos and Irene Matsouka, Mock Mediations in the Athens Bar Association and other Bar Associations and has lectured widely on Mediation in various Conferences all over the country. As a member of the Athens Bar Association Task Force for the establishment of its Mediators’ Training Center, she has vigorously and continuously contributed, for two years since October 2011, in the formation, organization and ultimately licensing in May 2013 of “PROMETHEUS”, the Athens Bar Association Mediators Training Center [www.akked.gr]. Since the inauguration of PROMETHEUS, she participates as a Mediators Trainer in its training programmes. She has co-created with Spyros Antonelos and Irene Matsouka the 18 hours Training Programme for Lawyers that accompany and represent their clients in Mediation (Advocacy Training Programme) and has been training with her two fellow trainers Greek lawyers since October 2015 in PROMETHEUS. She has been certified as a Trainer by the Dutch Organisation “DIALOGUE BV” in workplace mediation. RESOLVE has developed a WORKPLACE MEDIATION PROGRAMME which is implemented in companies and organisations according to each one’s individual needs. She has also been trained in School Mediation. RESOLVE has developed the School Mediation Training Programme “MEDIATION EVERYWHERE” which is adapted to every school individual needs and includes, among others, teachers training concerning the prevention of vilonence and the resolition of conflicts that prevail in schools. She has also co-authored with Spyros Antonelos, the first ever published and released scientific textbook on mediation in Greece, titled ‘Mediation in Civil and Commercial cases. International experience and Greek implementation’ (Sakkoulas Athens-Thessaloniki 2014, ISBN/ISSN: 978-960-568-096-1).